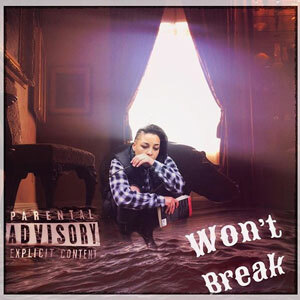 Arriving with the force of an urban-culture meteor, the single, “Won’t Break” introduces the world to a figure who could change both the face and the sound of hip-hop: multi-talented singer-songwriter-rapper C.K. Marion also happens to be a groundbreaking music producer and videographer. With her unconventional look, defiant lyrics, and flair for constant experimentation, Marion expands the boundaries of what women (or men for that matter), can do and be, in hip-hop. While her fearless production is capable of spawning a plethora of imitators if only they had the courage to climb out of their little boxes and create. Eclectic and uncompromising, “Won’t Break” is the sound of a genre revolution finding C.K. 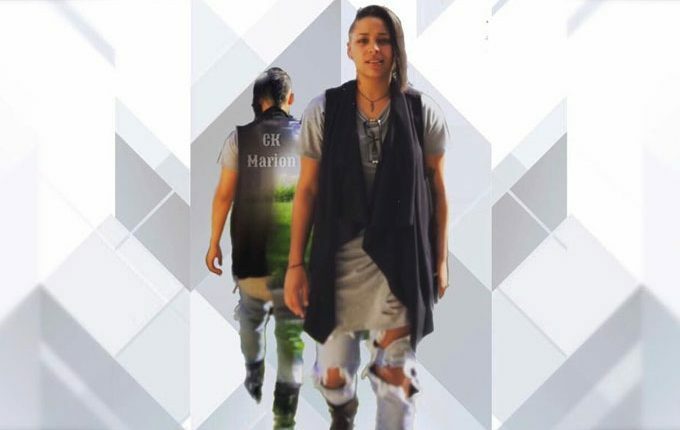 Marion dealing out high-impact versus – sung, rapped and spoken – over a thumping rock-infested beat. It is a superbly unforced, headphone-friendly track that could only come from someone seeking to storm the boundaries and work around the frayed edges of her craft instead of the soft center. Almost three decades ago rap music redefined itself in the midst of the alt-rock movement, creating a force that would eventually become hip-hop as we know it, probably the most lucrative and socially subversive genre to emerge from the ’90s and prosper into the new millennium. Though electronica was pegged as the next big thing, its influence has been gradual as it has filtered its way into rock, pop and the most obvious yet overlooked genre, hip-hop. C.K. Marion throws that deck of cards up into the air and boldly plays it out anyway it lands on the table. She gives the impression of being an artist that demands and receives respect. She looks ready to take on the hip hop world and demand it accepts her on her terms. “Won’t Break” shows us why she deserves to be at the genre’s pinnacle. When it comes to laying down lines and beats, she reigns supreme. Moreover her infectious performances, an aggressive style and super smart videos will bring her to most people’s notice. C.K. Marion constructs a unique musical language that’s so sharp it’s magical. C.K. Marion shifts gears and confounds expectations, making some of her current colleagues and peers sound positively pedestrian by comparison. Furthermore she has more emotional range, from ultra-hard to tender, than anyone in the field I can think of. From imaginative, direct rhyming to precise creative production, C.K. Marion is always awesomely in control of everything she does. Not bad for a female artist working in a misogynistic industry and culture. MORE ABOUT: C.K. Marion was born and raised in Orlando, FL. She attended Miriam & Valerie’s School of Dance Arts at 3 years old. Her mother Kelly Marion was a Dancer and Choreographer. Her father was a Songwriter, Actor, and DJ. At 9 years old Marion recorded her first single “Gonna Make U Dance.” Within the same year she landed a role on a television show called “Dooley and Pals,” with Victory Entertainment. She took a hiatus after childhood success to focus on academia, music, and real life experiences. At fourteen years old she began entering poetry slams, talent shows, choreographing for dance crews and studying production. She is self-taught in piano, guitar, producing, and the use of Digital Recording Workstations (DRW) such as Ableton, Reason, and Pro Tools. 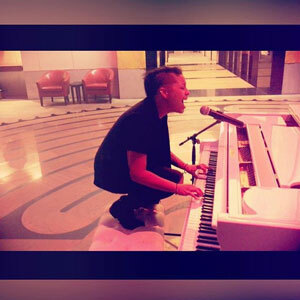 Marion composes her own beats and is a songwriter. She comes up with her own music video concepts and edits them. In her spare time, she enjoys playing billiards, writing short stories, and reading. In her music she writes about politics, society, feminism, spirituality, personal hardships, love, heart break and the misconceptions of success. C.K.Marion is my favorite music artist. She is an amazing performer and singer. One day I watched C K Marion make number one out of all these musical artists. The crowd couldn’t get enough of her. She really gets the crowd popping!!!! This article is great. Keep being Awesome!! !